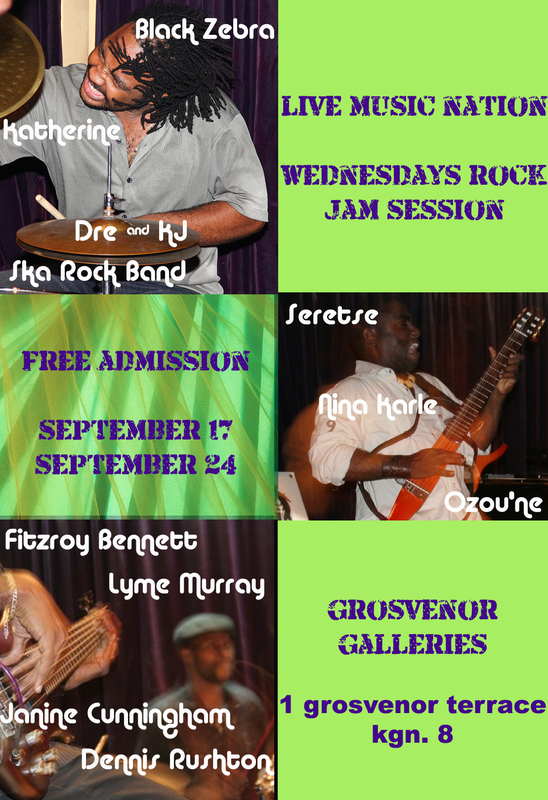 LIVE MUSIC NATION INTRODUCES ROCK JAM SESSIONS AT GROSVENOR GALLERIES. Starting this Wednesday, September 17. Bands performing include, Black Zebra, Crimson Heart Replica, Dre and KJ and Ska Rock Band.